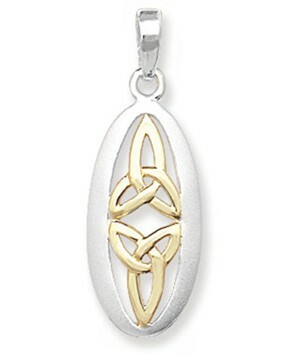 Traditional Celtic symbols in Sterling Silver covered with 9ct yellow gold, set within a stylish elongated oval. Comes complete with a 46cm/18” Sterling Silver chain. Actual size: 1.2cm. With chain.